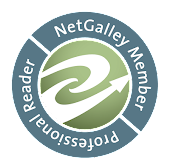 One of the monthly challenges that I truly enjoy is put on Art Bead Scene. Somehow I have let the last couple months slip by and I just knew when I saw this month's inspiration that I couldn't let that happen again. After all, one of my Goddess is Egyptian. 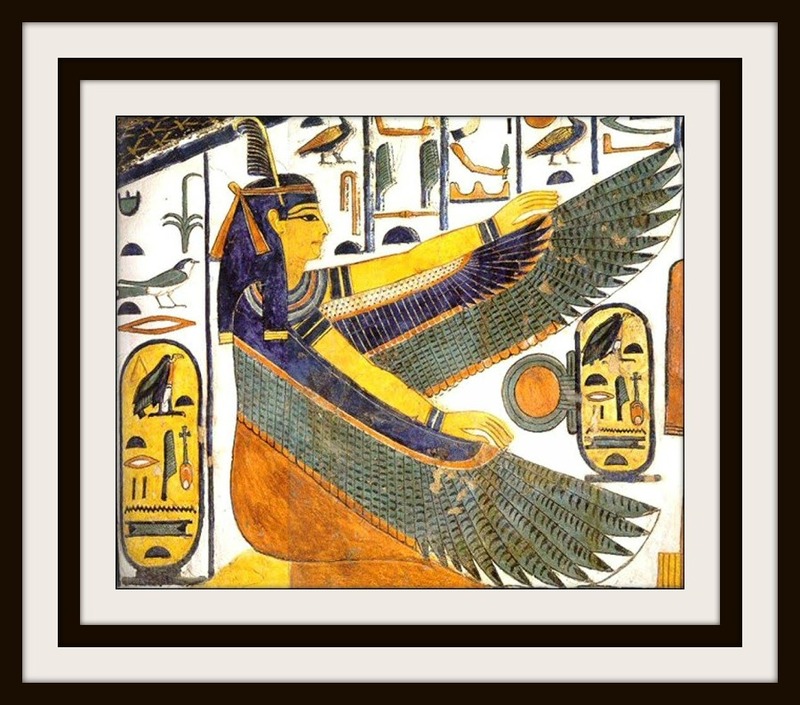 This painting was done on a wall in Queen Nefertari's tomb and is of the Goddess Ma'at. Ma'at was a Goddess of of truth, order, law, mortality and justice. This was painted in approximately 1255BC. I just loved the rich colors in this artwork and while I wanted to keep the Egyptian feel, I didn't have anything in my collection to honor Ma'at so I instead decided to play up the rich cobalt blues. 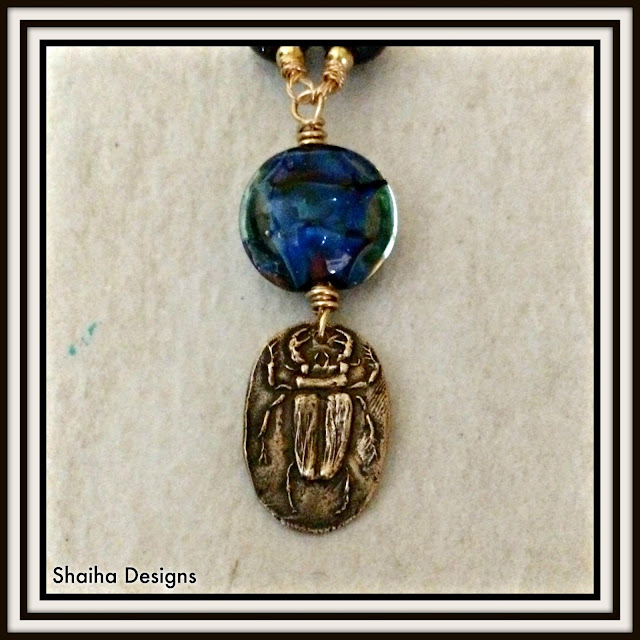 I used some gorgeous lampwork glass from CC Designs as both a focal and accent beads. The beautiful brass scarab was made by Andrew Thornton of Allegory Gallery. 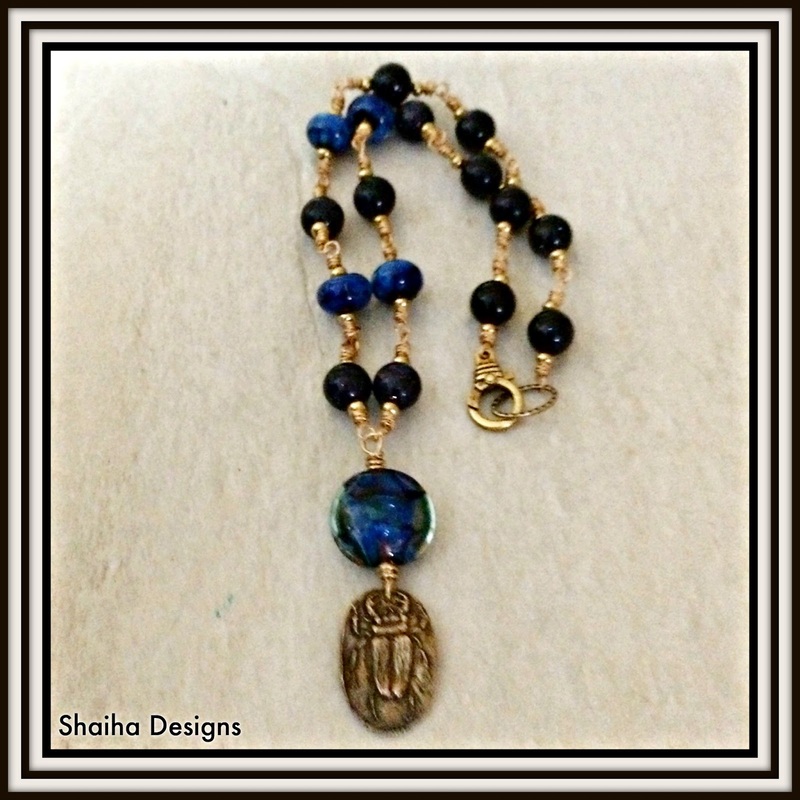 I also used some blue goldstone beads to bring in yet more of the rich blue color with flecks of gold. I just love how they all play together so nicely to give me that rich, lush feel that I was looking for. In fact, I have to admit that I am half thinking about keeping this necklace for myself. This is a beautiful necklace. I love that you focused on the blue. That is the color that really popped out of the inspiration piece to me, even though I am not a blue girl in general. Andrew's focal is perfect for this! What a wonderful job you did with this challenge. The focal really is perfect and that bead's blue really give the whole piece a richness. Well done!